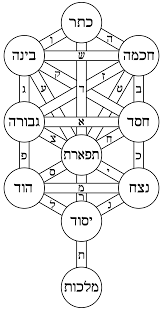 The class will have ten lessons that will discuss the spiritual laws of the Torah and the world, and we will learn the structure of the progression of divine presence from the heavenly spheres down to our world as we perceive it. Some the questions and topics raised will be: What is the purpose of our being and our existence? What is the unique role of the Jewish people? What is the meaning of holy or sacred and profane, pure and impure, and how can they be distinguished? How can i know if i am on the right path to achieve my life goal ? And other investigations into Jewish spirituality.